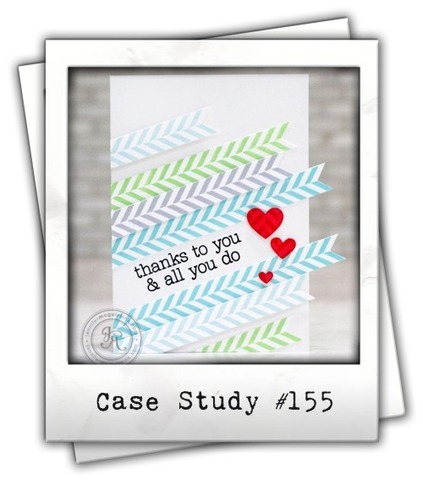 This card is also entered into the Simon Says Stamp ANYTHING GOES challenge. 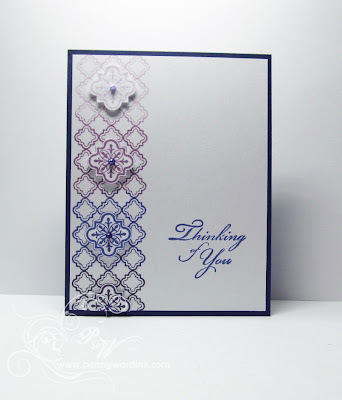 Going for an Ombre look was super easy with this Puzzle Parts stamp set by Penny Black (30-114). I love how the fussy cut "stars" (is there a real name for these shapes?) match the shape of the background stamp. Used Memento inks Elderberry, Sweet Plum, Grape & Lulu Lavender starting with the dark at the bottom and going lighter towards the top. PLEASE NOTE: Paula from Handmade by Paula informed me that the "stars" do have an actual name...who knew? The shape is called Quatrefoil ...now we know! Thanks Paula, you are the best!!! Added my beloved Liquid Pearls to "star" centers. (Ok I admit it, I have every color of my precious Pearls and I can't make a card without them...sure wish they would come out with new colors...I need a true Teal color especially). 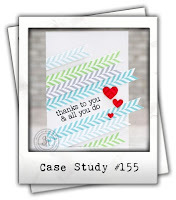 Sentiment is from the Gratitude set, also by Penny Black (30-105). well Poopitz...I just noticed there is a butterfly...and I have loads of those I could have added to the card. Gorgeous!!!! Beautiful color selection. Yep, I always think of something I coulda done after the picture is taken and posted!! But this is so perfect, as is!! Wonderful card and design. Love the colors. 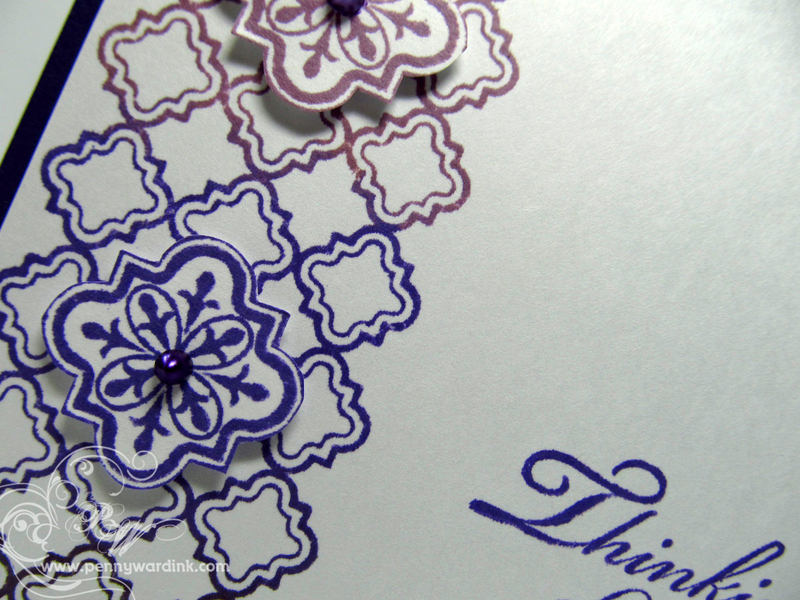 Very pretty card Penny! I had no idea that Liquid Pearls came in so many colors. They add such a nice finishing touch. I really should work at mastering them and use them more. I think the shape would fall into the category of a Quatrefoil. Wow. Lovely card all around. 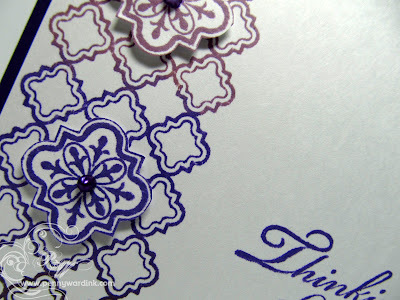 Gorgeous card; absolutely gorgeous! Colours, the images, the pearls - eye-catching and lovely!